While not an official state, the federal District of Columbia is the political hub for the United States. 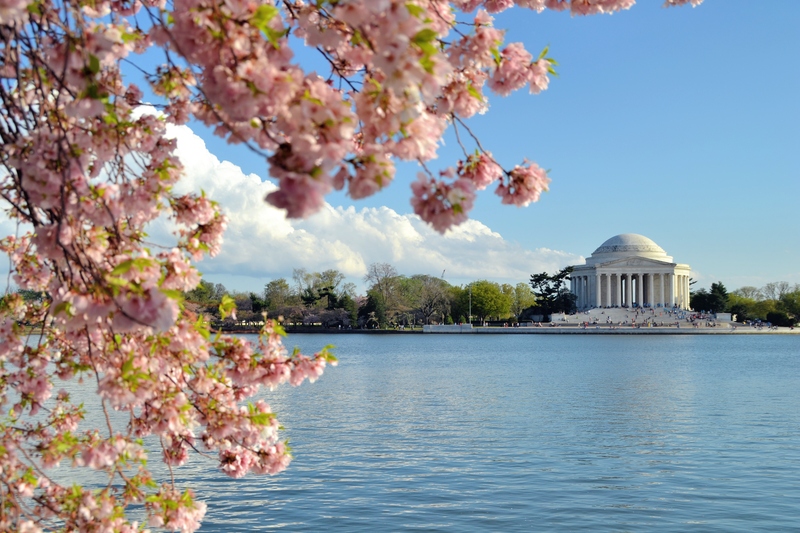 Serving as the nation’s capital, Washington, D.C. is also home to several beautiful natural waters, namely the Potomac River and its two main tributaries, the Anacostia River and Rock Creek. The Potomac River runs 652 km (405 mi) through West Virginia, Virginia, Maryland, and D.C, and its watershed encompasses the entire district. It helps form the borders between D.C. and the surrounding states, and has served as a vital source for navigation, food, and recreation for thousands of years. Today it is popular amongst boaters, swimmers, and paddlers alike. The Anacostia River, the largest tributary of the Potomac, stretches 14 km (8.7 mi) through Maryland and D.C. It was long home to the Anacostan Indigenous peoples, and was travelled by some of the earliest European settlers including Captain John Smith. After decades of pollution issues, recent years have seen community groups, local businesses, and government join forces to restore and reclaim the river.